​We pride ourselves in providing the best residential cleaning services that you and your loved ones deserve. 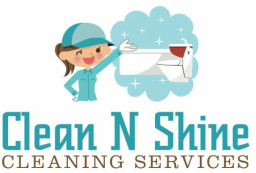 Clean N Shine offers cleaning services to residents of houses and apartments; also we offer special pricing to those clients who register for weekly or biweekly service. ​​We never charge you until after your home cleaning is complete. one time using our equipment and high quality products. We try hard to ensure you will receive the same housekeepers in each and every cleaning so the maids can become familiar with your home and your individual house cleaning needs. we'll come back and reclean it!